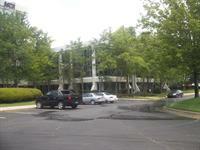 Huntsville Hub is the first Class A Business Center in Huntsville. We've spent the last 23+ years helping both Fortune 500 and very small companies project the first class image they needed while growing their businesses. Our staff manages the reception & administrative support areas, kitchens and multiple meeting rooms. We answer incoming calls, greet guests, and support meetings as needed. Meeting rooms are available by the hour for both our in-house clients and walk-in clients. From I-65 N/S take Exit I-565 E US/72 ALT E and merge onto US 231 S/N Memorial Parkway via Exit 19A. Travel approx. 6 miles and turn right on Boulevard South. Office is across from Hampton Inn.